The cuts in Social Security and other critical social programs proposed Tuesday by the Obama White House as part of negotiations with House Speaker John Boehner over the so-called “fiscal cliff” mark a watershed in US social policy. Obama has publicly proposed to cut future benefits for Social Security recipients, underlining the bipartisan agreement that the working class and the elderly, not Wall Street or the super-rich, must pay for the crisis of American capitalism. According to press reports Tuesday, the White House counter-offer to Boehner calls for reducing future cost-of-living increases in Social Security benefits by adopting an inflation index that is deliberately distorted to underestimate the amounts that the elderly will have to pay for the essentials of life. The new inflation index, called a “chained” Consumer Price Index, will cut as much as $225 billion in spending over the next ten years, half of that from Social Security recipients and the rest from the pensions of retired federal workers and other benefit payments. There are other reactionary features of the White House proposal: limiting the expiration of the Bush-era tax cuts to families with incomes above $400,000 a year, up from the longstanding Obama position of $250,000; allowing the partial payroll tax holiday to expire, effectively imposing a two percent tax on the wages of every American worker; and maintaining the 20 percent rate on dividend income, which goes overwhelmingly to the wealthy, instead of allowing it to rise to 39.6 percent as provided for in current law. Providing $1.2 trillion in tax increases and $1.2 trillion in spending cuts over ten years, the White House proposal embraces the Republican demand for a dollar-for-dollar equivalence between tax increases and spending cuts. This supposed “balance” does not take into account the $1.2 trillion in spending cuts, to be phased in over the next nine years, that were enacted in the August 2011 budget deal between Obama and the House Republicans. All told, the White House plan would cut $400 billion from spending on federal health care programs, mainly Medicare, $122 billion from Social Security, and another $400 billion from other domestic spending, as well as saving $290 billion in interest costs. The White House has proposed to cut discretionary domestic spending from 3.1 percent of US gross domestic product in 2011 to only 1.7 percent by 2022. House Republicans, using a somewhat different definition, would cut domestic spending from 4.3 percent of GDP to 2.1 percent over the same period. In other words, what is being worked out in the talks between Obama and Boehner is nothing less than the terms of a social retrogression of unprecedented dimensions. Using the concocted threat of a December 31 “fiscal cliff,” when some $600 billion in tax increases and spending cuts are scheduled to begin because of previous Washington agreements, the representatives of big business, Democratic and Republican, are proposing to begin the dismantling of the social reforms enacted in the 20th century. The White House decision to propose cuts in future Social Security benefits is of enormous political significance. 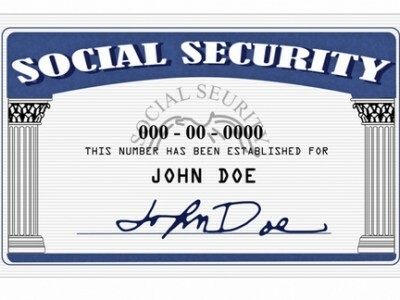 Social Security has long been characterized as the “third rail” of American politics—touch it and you die. Obama and Boehner are seeking to break this taboo and create a new political framework for imposing brutal austerity measures on working people. Whatever the immediate outcome of the talks in Washington, whether or not a deal is reached before December 31, the overall direction is clear: entitlement programs like Social Security, Medicare and Medicaid are to be gutted. The only significant area of federal spending will be the military-police agencies required to defend the interests of the financial aristocracy—overseas against foreign rivals and revolutions, at home against the American working class.